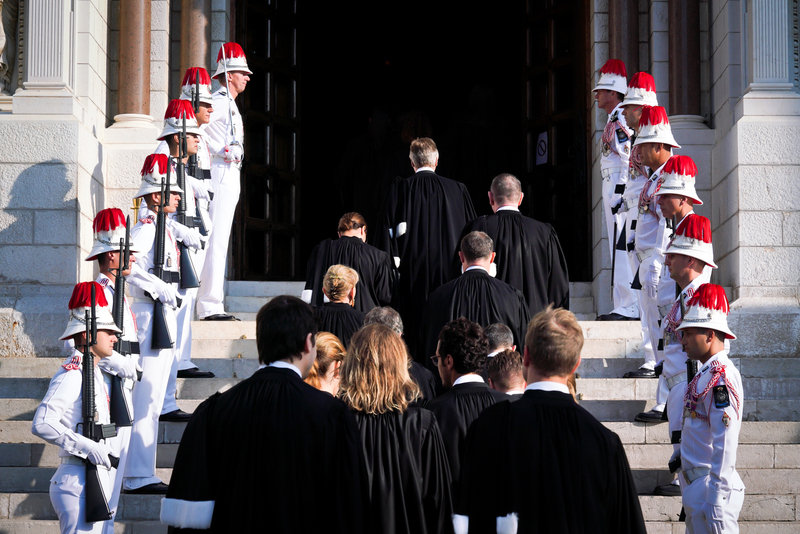 The “Maison de l’Avocat”, opened since the 8th of January 2016, meets the needs of modernisation and improvement of the functioning of the Principality of Monaco Bar Association towards the outside and the judicial system. The Association counts 35 members in 2017 and has an increasingly intense activity. This area is dedicated to the Monegasque lawyers and constitutes the interface and link between the Courts, the litigants and the Monegasque Bar Association. The “Maison de l’Avocat” is the “headquarters” of the Association where the weekly meetings of the Bar Association’s Council are held. It has its own secretariat. The Monegasque lawyer of the 21st century answers thoroughly and precisely to his clients’ needs. Through the diversity of our personalities, approaches, styles, professional structures and the number of members that has doubled in the last twenty years, our association is now involved in every area of law in which advising and representing is needed.